Listen Now To Michael DeAngelo's "Who's Next"
The New York Rangers are 2-0 in their season series with the Detroit Red Wings. 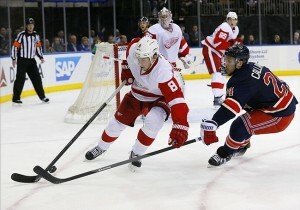 Today is the final regular season game between The New York Rangers and the Detroit Red Wings. With the New York Rangers already being 2-0 in the season series, all eyes are on them to get the season sweep. This nationally televised game will be one you don’t want to miss. In previous years, the Red Wings have been known to always come out on top over the Rangers but this year things just might be different. The energy is going to be crazy at the game and emotions will be at an all-time high. Make sure you tune in and watch who comes out on top.